Sekiro Divine Confetti is an essential item when facing off against apparitions and any ghost-like enemies, as without it you won’t be able to and a single blow with your sword. This quick item is applied to your sword and adds a purple tint, when your weapon is coated with Divine Confetti you’ll want to attack any apparitions liberally, as a flurry of attacks will also dispel any of their effects. In particular you’ll want to have some Divine Confetti handy for taking down enemies like Headless, Shichimen Warrior, and O’Rin of the Water. 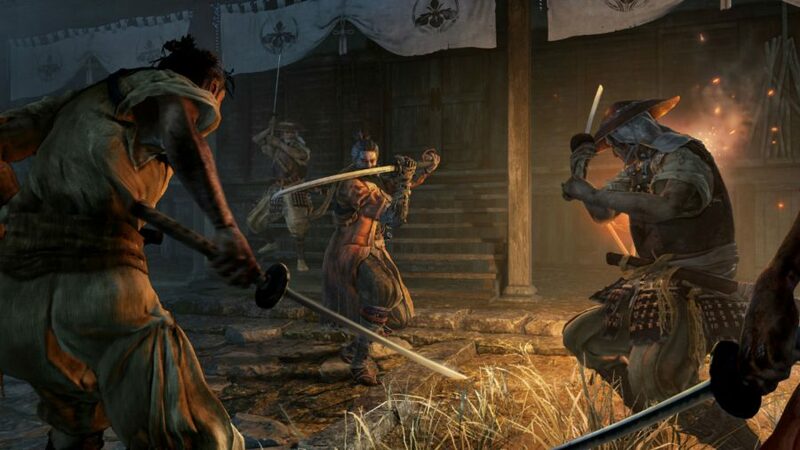 There is a way to farm this item reliably, but you’ll need to be over halfway through the game, so keep reading if you’re just starting out in Sekiro and need to know some spots where you can grab this item before facing off against a tough opponent. It’s also worth noting that there are few enemies that will occasionally drop this rare item, namely the samurai located at the top of Ashina Castle. You’ll want to make sure you take a Mibu Possession Balloon before you start trying to farm Divine Confetti as this will increase your drop chances. Alternatively you can seek our skills like Most Virtuous Deed in order to buff your drop chances. The last source to note is Fujioka the Info Broker at the Dilapidated Temple, who will sell an infinite number of these for 300 Sen a pop, but you’ll need to defeat Corrupted Monk boss fight and have the Dragon’s Tally Board. There are a couple of Divine Confetti near the Main Hall Idol. Follow the linear path to an area with an abundance of archers and you should spy a burning building to the right with an open door. Head inside and you’ll find a stack of two Divine Confetti in the far corner. After beating Jozou the Drunkard you can enter a building, take the left path, take out the two enemies, then take another left so you are facing a wall with a scroll on it. Hug this and a secret passage should open up with a few goodies inside, including some Divine Confetti. There is a pile of Divine Confetti behind another hidden wall, this time in Hirata Audience Chamber, in a house before the Idol. If you’re facing the boss room, the shinobi wall is on the left side of the hallway. From the Water Mill Sculptor’s Idol, cross a bridge and follow the path until you encounter a house with a mob of villagers guarding it. You can sneak into the house by interacting with some broken floorboards to the right of the main door. Inside you’ll spot some Divine Confetti by a broken statue. Starting at the Water Mill Sculptor’s Idol, turn around and head into a house just beyond the water mill, there is a single Divine Confetti on the left after you enter. Behind the giant snake, in the spot where you find the Dried Serpent Viscera, there’s a grapple point above and to the right. Head up and follow the trail to grab some Divine Confetti. Beyond the arena where you defeat Long-arm Centipede Giraffe there is a camp with a group of deadly reptiles, you’ll also be able to grab some Divine Confetti here. You can pluck five lots of Divine Confetti from the beheaded Buddha statue near the drinking NPC. You can pick up another from inside a house before reaching the Watermill Idol. Pop on over to the noble courtyard and you can find two next to the hold in the ground you can jump into. Head to the Flower Viewing Idol and you’ll spot three hidden behind the pagoda. Two can be looted next to Pot Noble Koremori. That’s all the locations we’ve come across so far. However, you can still get an infinite supply of Divine Confetti early on simply by farming the samurai located at the top of Ashina Castle, so head there if you’re stuck.